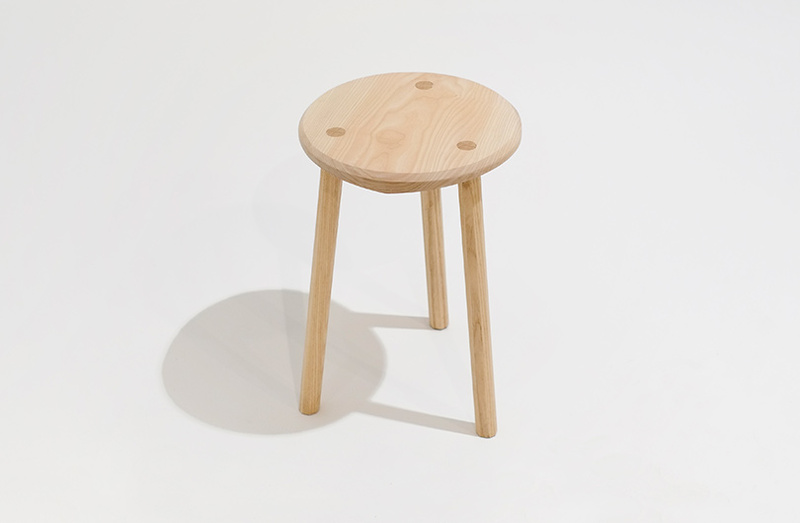 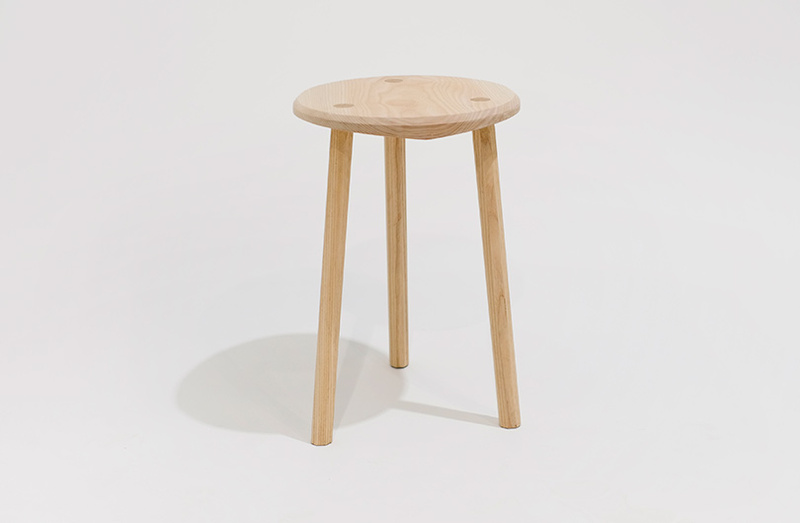 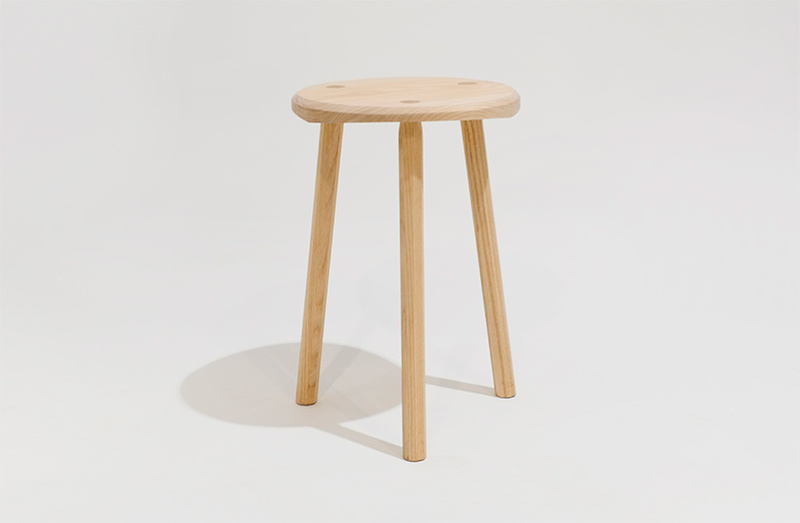 This simple stool features a faceted bottom that defines the angle of the protruding octagonal legs. 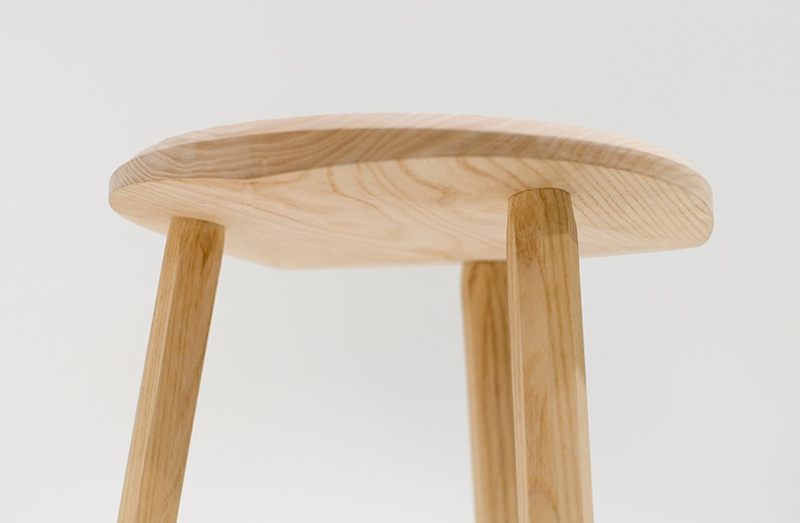 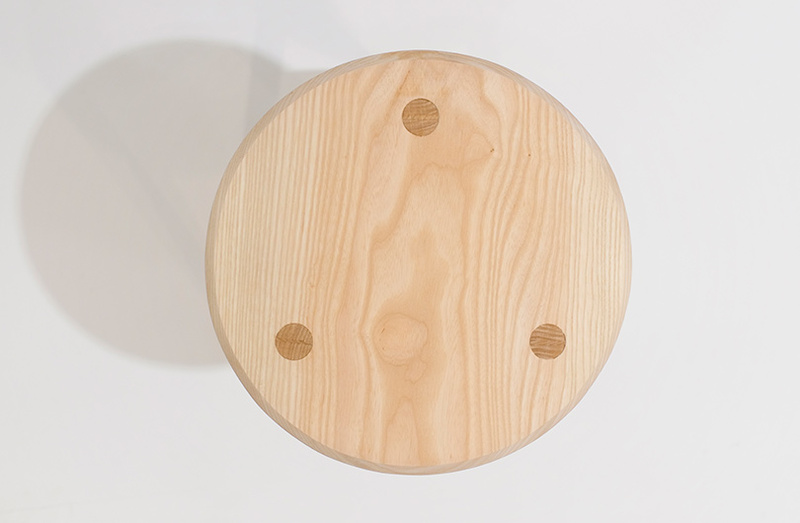 A wedged tenon joinery detail on the surface of the stool reveals the construction. 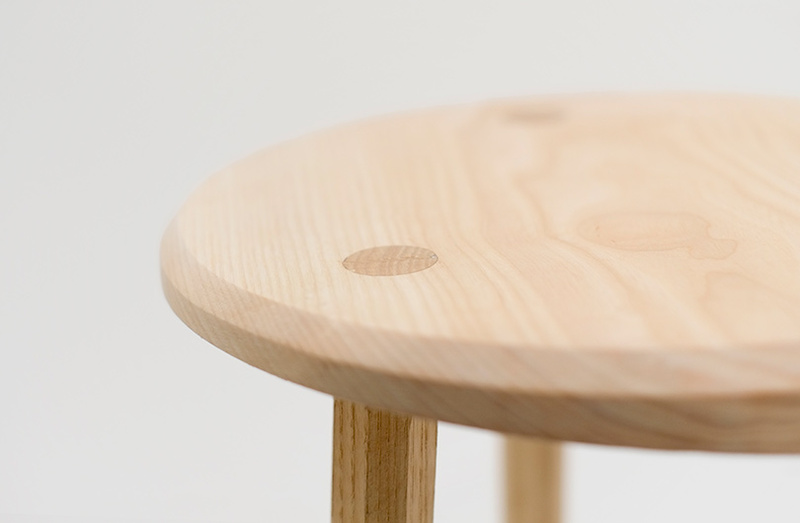 Custom material and finish available.